A friendly welcome, spectacular coastline, balmy weather, delicious food, world-class wines and close proximity all combine to lure visitors to this vibrant, many-faceted country. In recent years, much has been done to attract a more discerning tourist, with stricter controls on permitted development, the opening of some truly charming and authentic hotels, the sympathetic restoration and re-development of historic buildings and the promotion of ‘real Spain’- those untouched villages and coastal areas which have retained their character and appeal are now coming into their own. ‘Foodie’ destinations such as San Sebastian are now well-established on the culinary map and if you are looking for a specialist holiday- art, culture, cookery, dance- there is no shortage of options available. Of course, the great appeal of Spain is the fact that it is so diverse and varied- each region has its own unique character and personality- even its own language in some cases, thereby offering the visitor a true smorgasbord of travel delights. The Balearics are the obvious destination to head for. 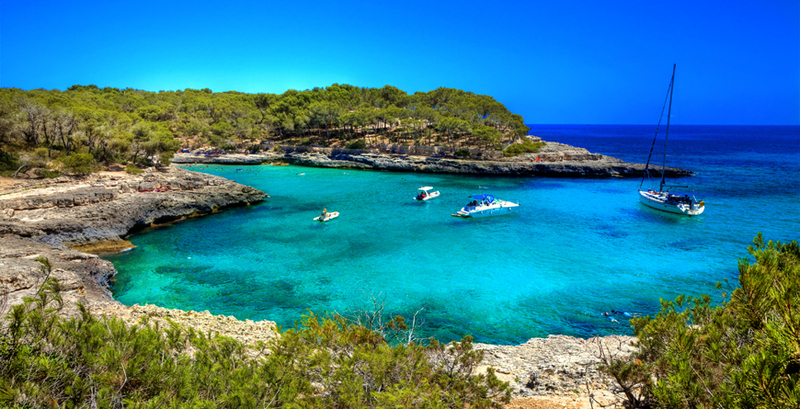 The largest of the islands, Mallorca is a tempting option. 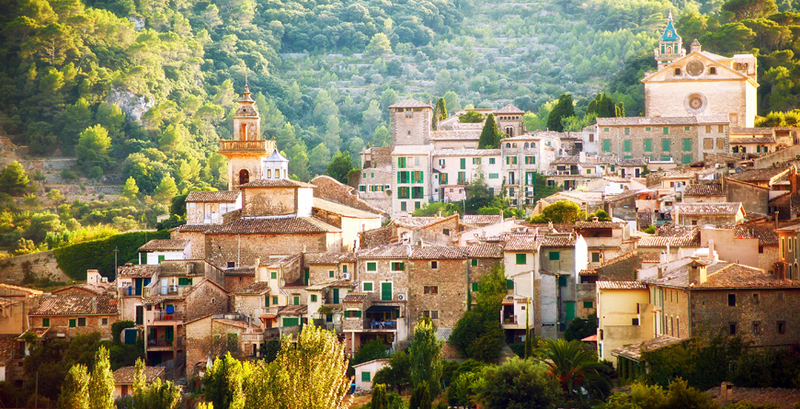 From the medieval magnificence of Palma's Old Town, up the hairpin bends that take you to the lush interior, to the bustling quayside at Port de Soller and powder sands of Formentor, this island offers something for everyone. Although not untouched by tourism, the hitherto unfashionable towns and villages of the interior have clung to their traditions and make a great day trip if you are staying on the coast. Our clients particularly treasure Majorca's quieter north-eastern corner as the perfect destination for a civilised bucket and sand style holiday, in a delightful setting with plentiful options for fabulous dining. 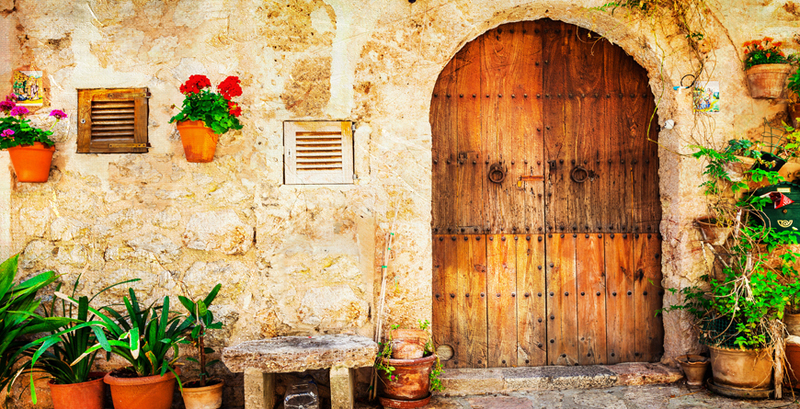 Base yourself near pretty Pollença- all cobbled streets and elegant preserved buildings, for a taste of up-market real Spain. Ibiza has undergone something of a transformation in recent years, now offering stylish, laid back luxury in spades, with some exquisite boutique hotels, hip restaurants, holistic retreats, child-friendly beaches, and fabulous nightlife. Temperatures rarely dip below 18C and hover around the 30-35C mark in the height of summer. The north of the island has smaller, rocky coves with chilled out beach bars and restaurants whilst the south offers a glitzier experience, with the world famous Blue Marlin beach club, Pacha, Amnesia and Space all within a 10 mile radius of each other. For a chic retreat it’s hard to beat. Meanwhile Menorca and bohemian Formentera abound in off-the beaten track splendour, making them the ideal choice if you are looking for peace and quiet. Heading further South, the Canaries are closer to Africa than they are to Spain and as such are blessed with a wonderful climate, making them a good year-round destination if you are in search of some winter warmth. 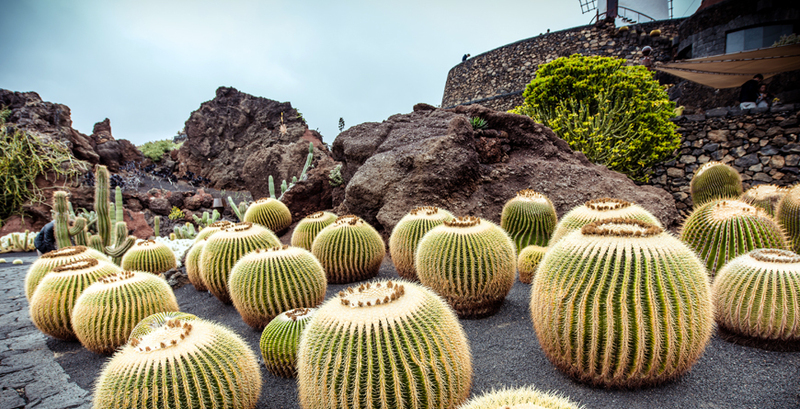 Las Palmas is the capital of Gran Canaria and the province and also the guardian of some must-see cultural and historical gems. The jewel in its crown though is undoubtedly the fabulous city beach-Playa de las Canteras. For more white powder sand, head to Maspalomas- backed by rolling sand dunes, there is also a nature reserve, which incorporates a saltwater lagoon and small palm grove, popular with birdwatchers. For an evening stroll and a choice of harbourside restaurants, pretty Puerto de Mogán is a lovely option. 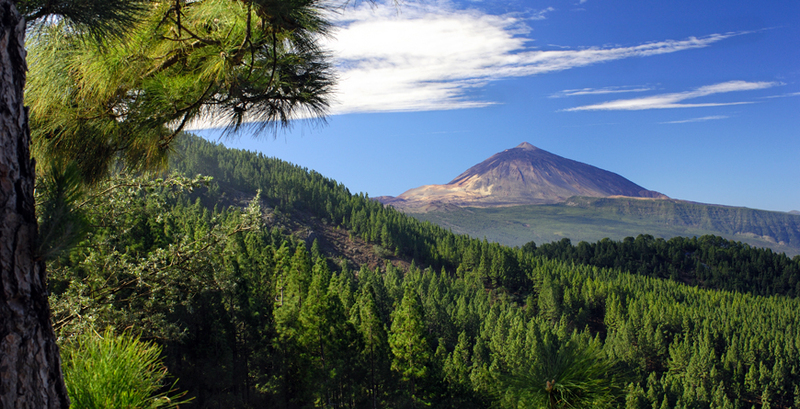 The lovely volcanic Island of Tenerife is home to two World Heritage Sites, one National Park, and 42 natural protected spaces. 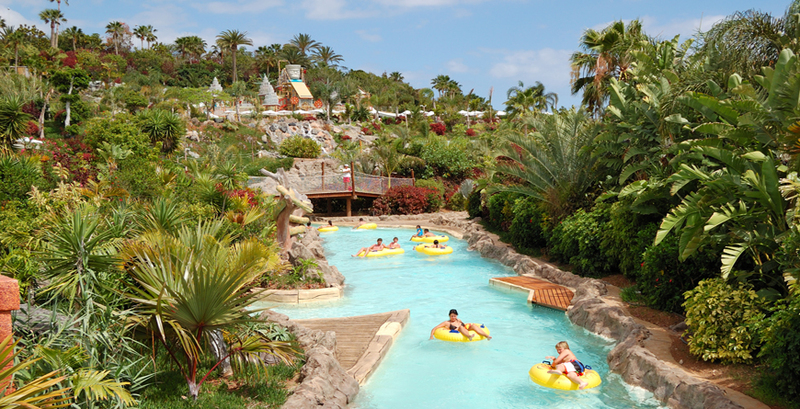 With other attractions such as the world famous Siam Park and Loro Parque there is something for everyone. The tranquil north has a cooler climate and is dotted with pretty towns and villages such as Garachico and Taganana, whilst the south offers the lovely golden beaches and turquoise waters of the Atlantic. With two airports on the island, wherever you choose to stay, transfer times are blissfully short, allowing you to make the most of your time here. The tiny, untouched island of La Gomera, with its verdant green interior and reached by boat from Tenerife is well worth a visit. 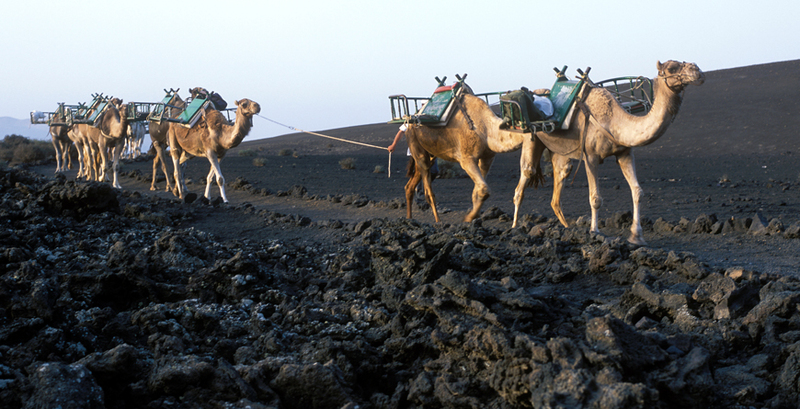 Lanzarote is best known for its striking volcanic, lunar landscape, wonderful wine and the most temperate of climates. It has remained largely unspoilt with lovely low-rise white washed buildings some stunning architecture in the style of the venerated local artist and architect Cesar Manrique. With excellent watersports, cycling and horse-riding alongside some lovely 5* hotels and eco-lodges, as well as glorious beaches (including golden Papagayo), we think it ticks a lot of boxes. 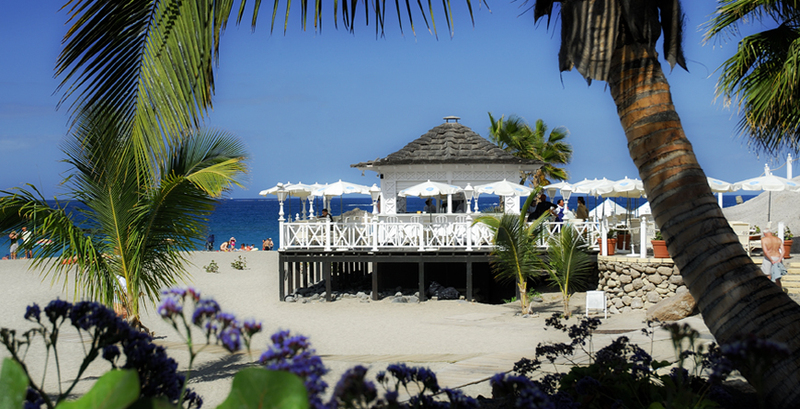 For simply-prepared mouth-watering seafood, head to the waterfront restaurants at La Caleta or El Golfo. For beach-life in all its many guises and a plethora of watersports, Fuerteventura is the place to go. The dry, sunny Summer months can be extremely hot in Southern Spain, although coastal areas usually enjoy a sea breeze and are often more humid. If you are intending to stay during peak season you will need to book well in advance as sought after accommodation fills up early. Prices can be as much as 50% more in some areas too. The weather is more unpredictable in the Northern regions such as Galicia. Inland Spain is usually very quiet during August as the Spanish flee en masse to the coast to escape the very high temperatures. Spring and Autumn can be a great time to visit, with mild, clear weather and fewer crowds. Local festivals can send prices soaring though so unless you want to be in the thick of things, time your visit to certain cities, such as Seville or Valencia, very carefully. Winter in central Spain can be very cold indeed, as evidenced by the various ski stations which are very busy in the ski-ing season. Expect rain in the north and northwest. Mild temperatures in the South and Canaries ensure these remain good options for some winter warmth with some good deals to be had on accommodation. For the perfect long-weekend away with family and friends in Europe, we can recommend some fabulous private villas in stunning locations which offer that elusive mix of top notch accommodation, luxury hotel facilities, charming eateries and plenty of culture alongside that all essential ingredient of the perfect family beach.